Trying to lose weight in a healthy manner is frustrating and sometimes confusing. There are several weight loss plans designed for the masses, but you need to know what ones will benefit you. To get on the right track, contact Dr. Urshan’s Tampa Weight Loss Clinic and talk to a weight loss professional. He will be able to help you find out why you are finding it so difficult to lose the added weight and develop a weight loss plan that is based on your individual need. Dr. Urshan understands that every person is different. That means their weight loss plan and requirements will be different as well. He uses state of the art technology to develop proper diets and well-rounded exercise programs that help his patients reach their weight loss goals. The doctor does not use pills or medications. 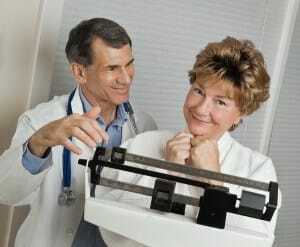 Instead, he works to reset and regulate a person’s metabolism to get them back on the road to good health**. Contact Dr. Urshan and the medical professionals at your local Tampa weight loss clinic to find out how we can help you reach your target weight. We understand how frustrating and confusing it can be when you try to do it on your own. We can help those in South Tampa, Carrollwood, Temple Terrace and nearby areas through the process and help you understand how the body works. When you talk to our medical staff, you will be able to more fully appreciate the importance of losing weight the right way.